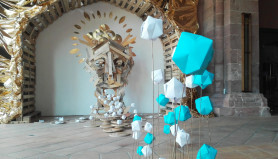 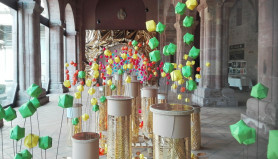 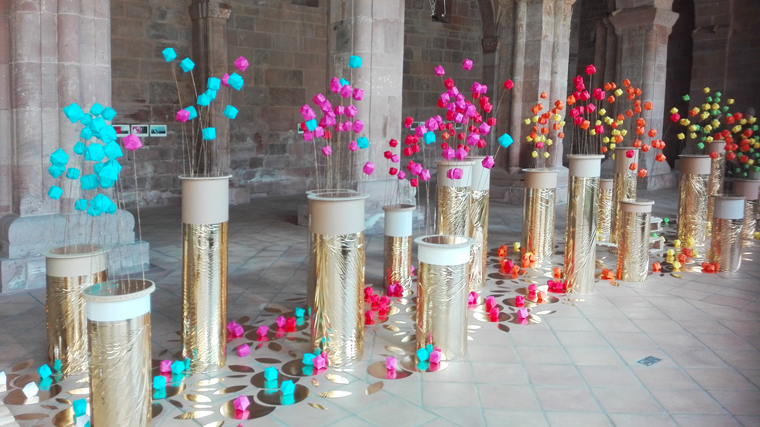 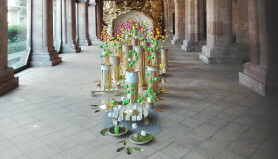 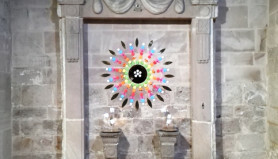 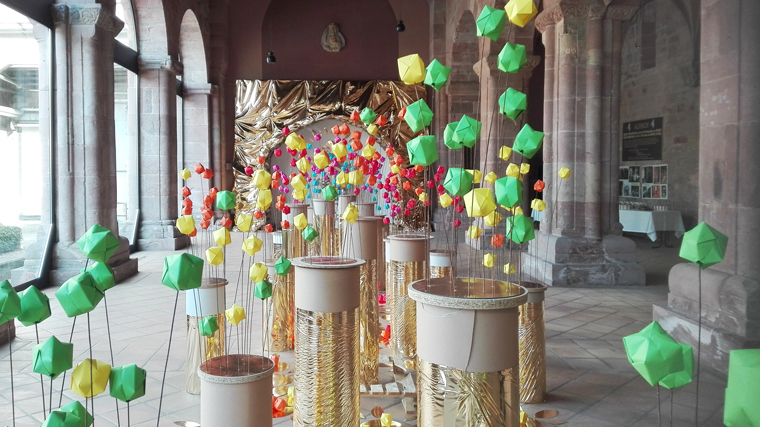 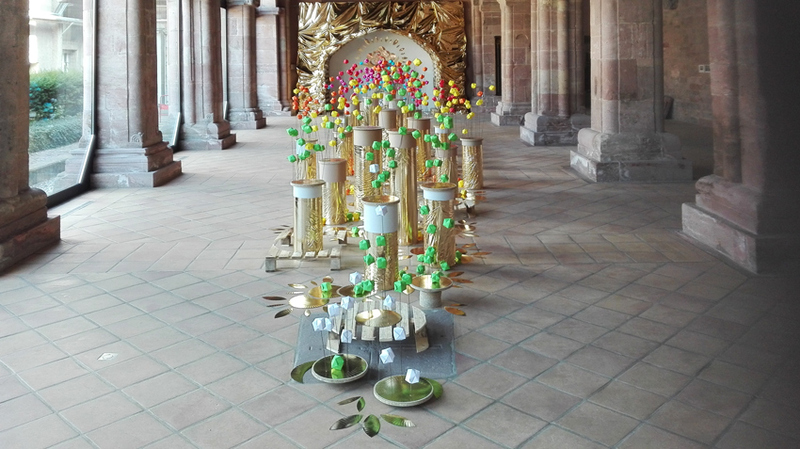 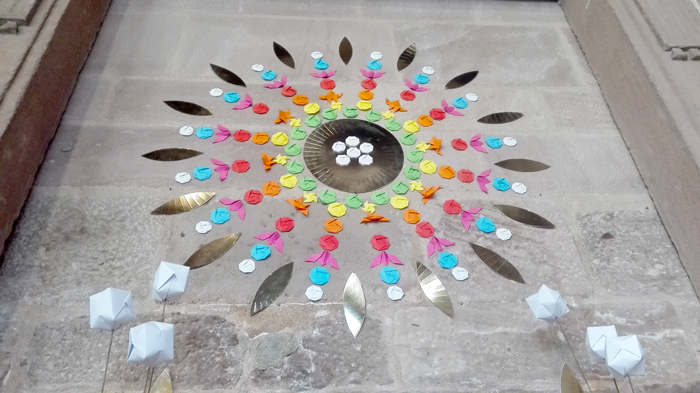 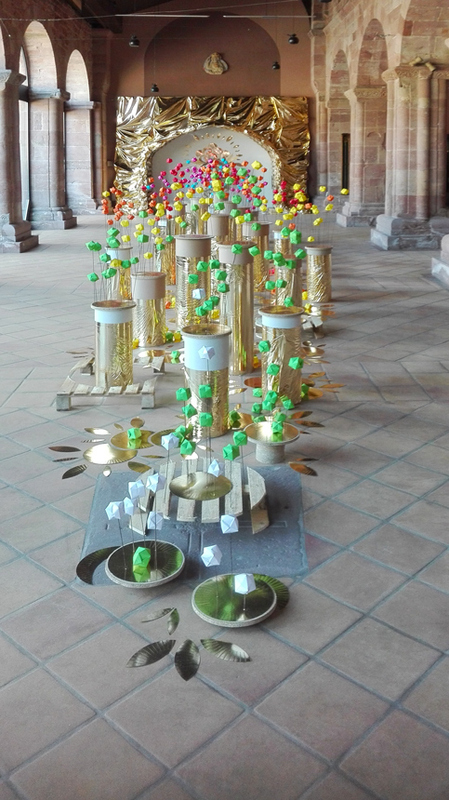 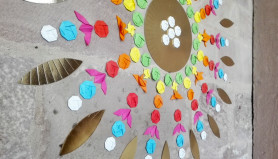 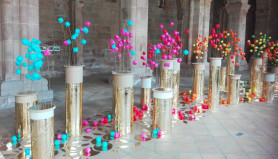 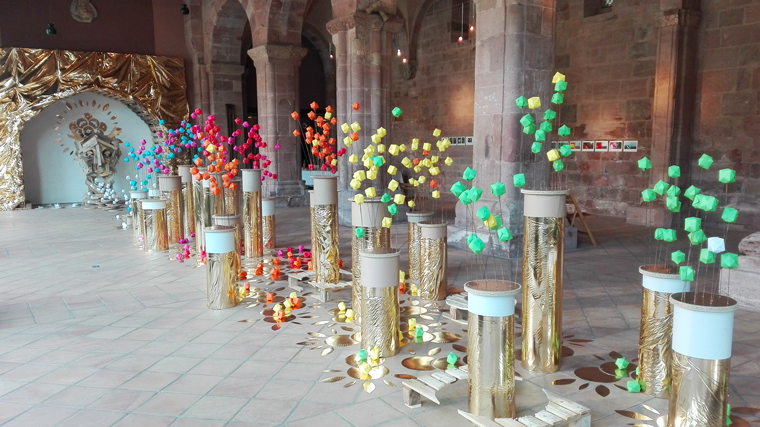 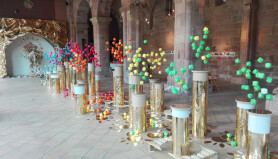 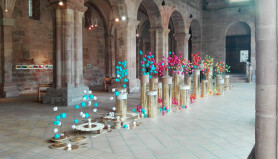 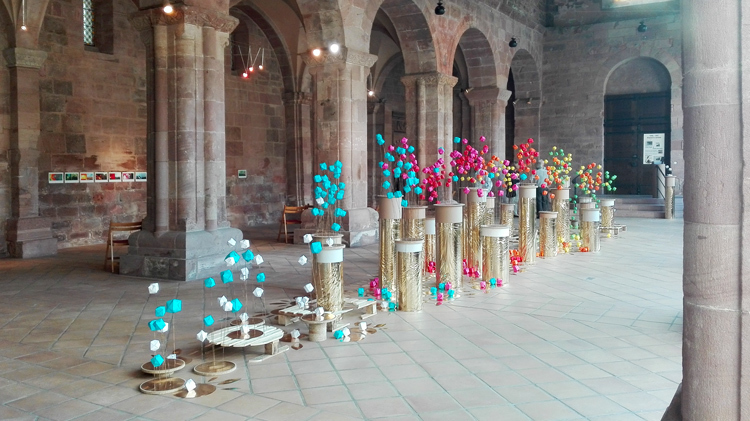 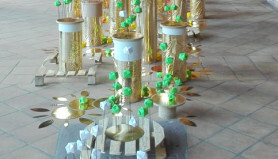 Project realized in Aslpach Abbey, in collaboration with Snez (with whom Mademoiselle Maurice forms the duo emes crew). In Alspach, district of the town of KAYSERSBERG, remains the remains of a church of the twelfth century, listed as a historical monument, which, until the Revolution, occupied the site where is now installed the DS Smith plant producing cardboard. 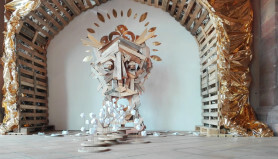 The church is in the recycling bin area of ​​the factory. 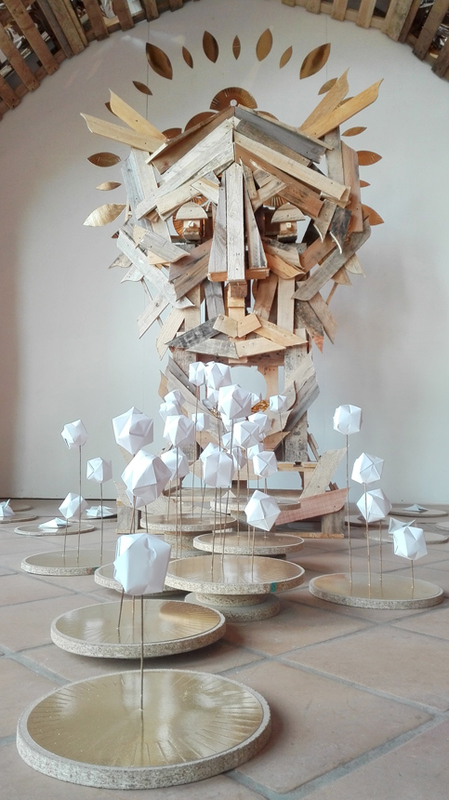 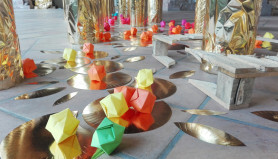 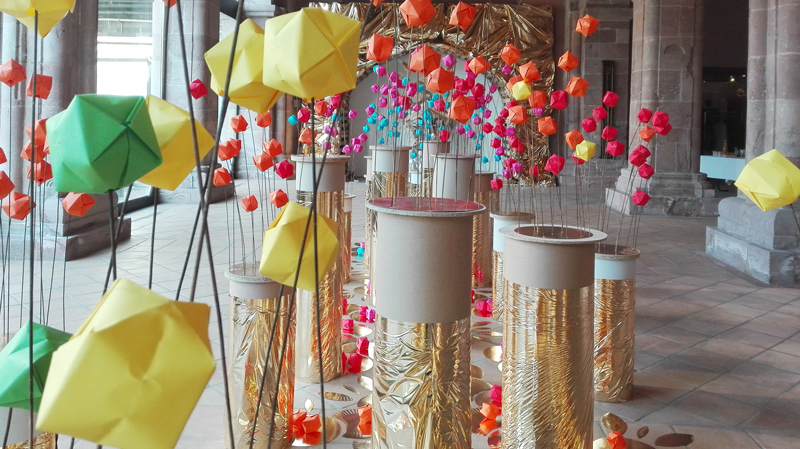 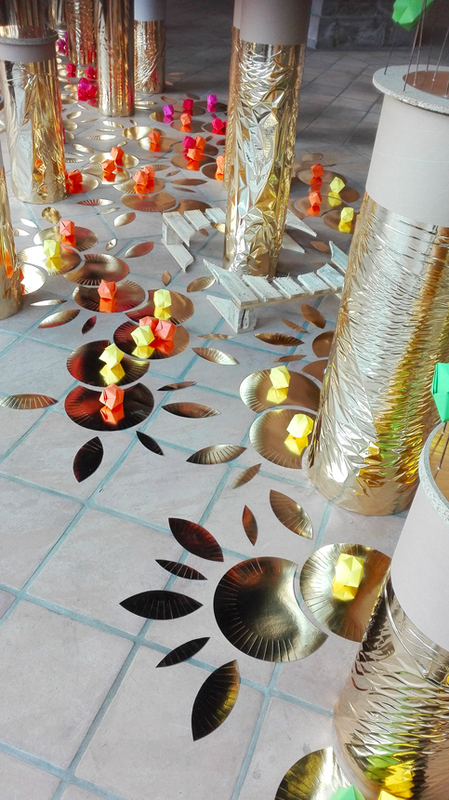 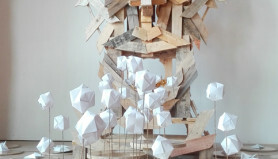 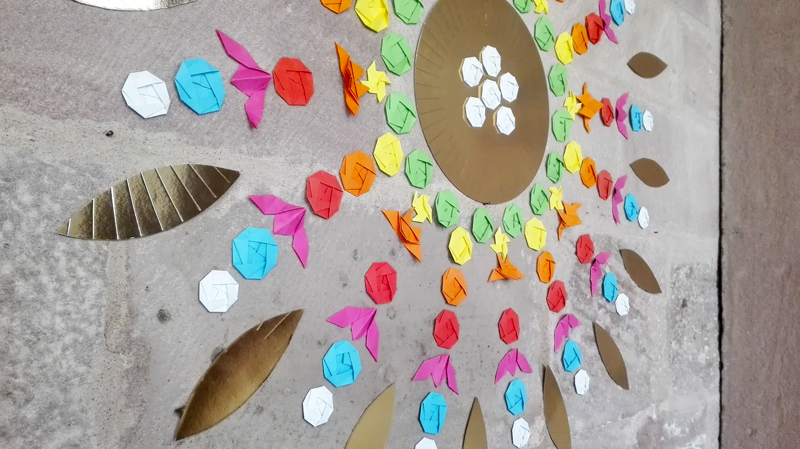 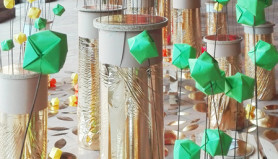 For this project, Mademoiselle Maurice brought some origami previously folded, but the remaining elements were made from elements recovered in the dumpster from the factory (damaged pallets, falling logs, damaged gold rolls, scrapped plates cardboard, etc.). 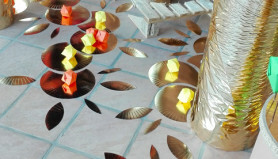 The work was built in situ over a week (reflection, preparation, installation). 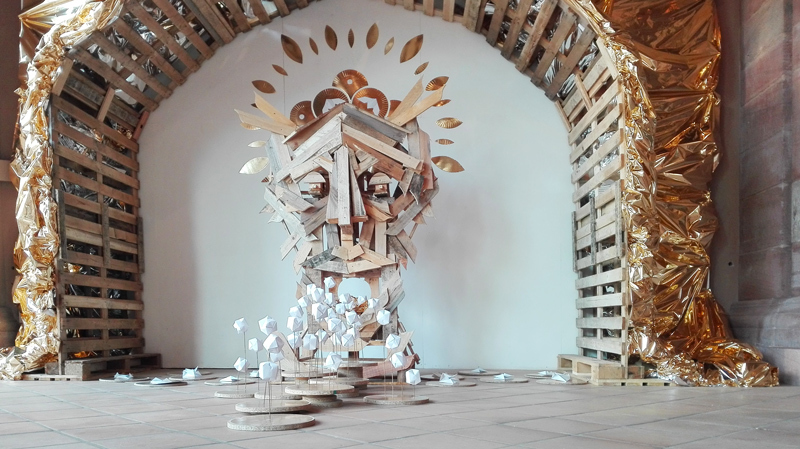 The duo of artists wanted to create a little story in the form of one who would be the god of recycling (wooden sculpture made by Snez). 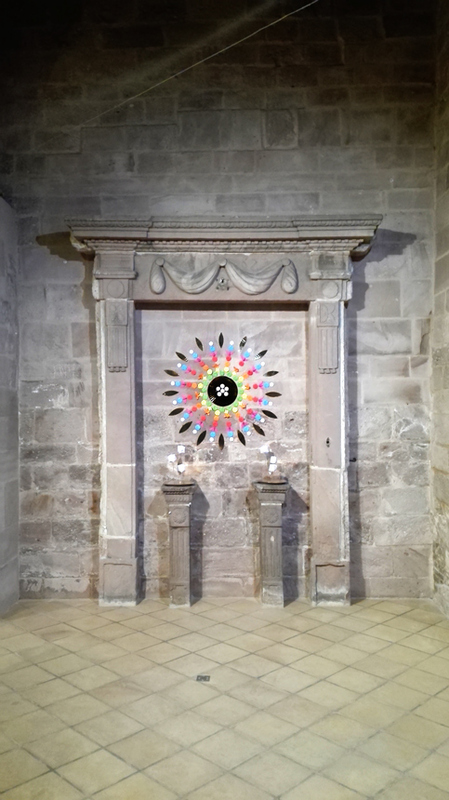 And from this god of transformation is born a breath of hope from which emanates multicolored flowers that grow on a fertile soil. 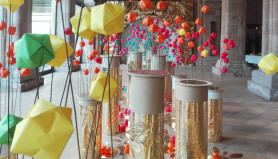 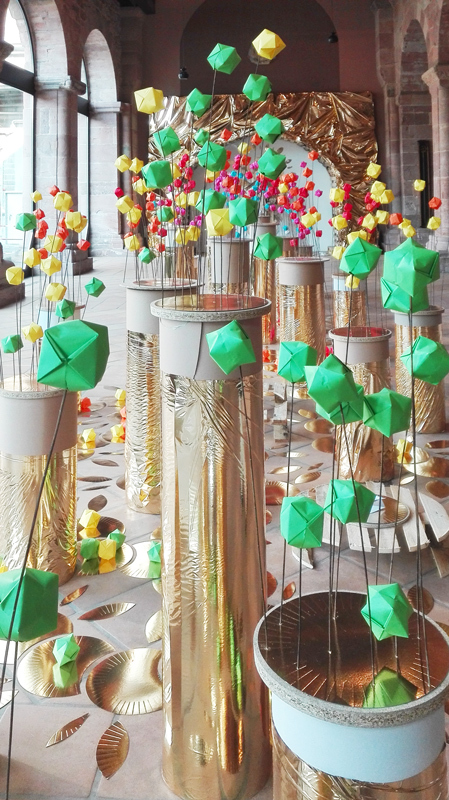 This installation reminds us of the importance of recycling! 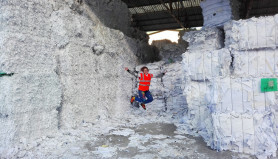 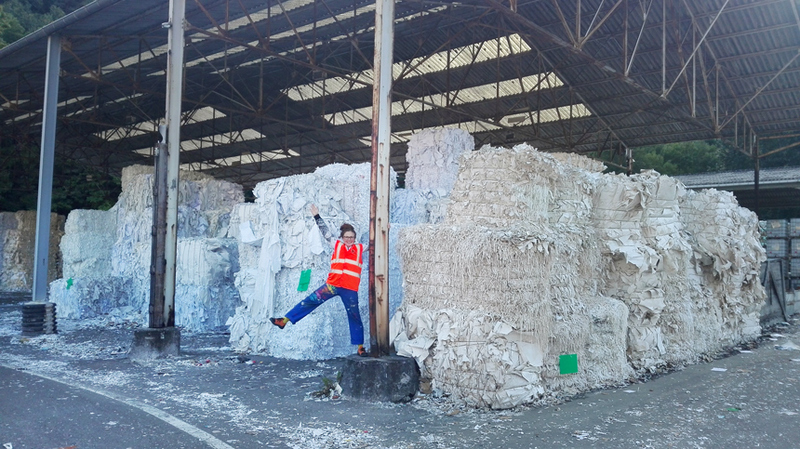 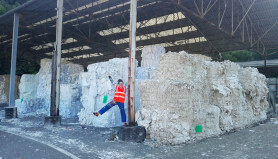 “This experience has really confronted us with the fact that recycling is not a myth and that it makes it possible to transform waste by giving it a second life (here in the factory, making paper plates, rolls craft paper, cardboard packaging, etc.). 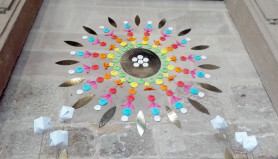 A huge thank you to Alexandra and the whole team at Alspach Abbey, the volunteers for their invitation and their welcome!